2019 marks the 25th anniversary of owner Neil Lucas’s arrival at Knoll Gardens. An acclaimed plantsman, Neil’s planting style has created a glorious naturalistic garden that works for plants, for people and for wildlife. A year-round programme of events marks his 25th anniversary, culminating in our first Festival of Grasses in autumn. A garden full of ideas. Our internationally recognised ornamental grasses form the heart of the garden and work in combination with flowering perennials, flowing over winding paths and border edges to provide a totally immersive experience. A mini-arboretum of rare and unusual trees and shrubs adds height, interest and provides additional habitat for wildlife. An inspirational space. By mimicking nature Neil has created thriving plant communities well-suited to the existing growing conditions. 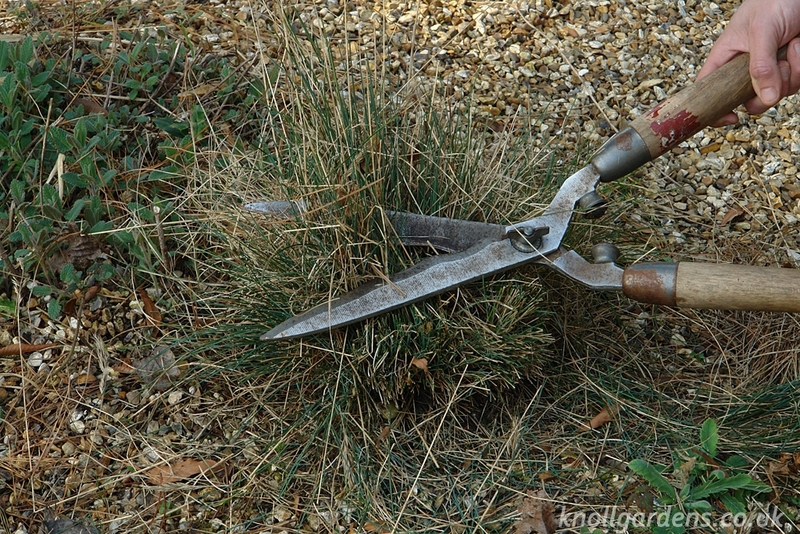 The resulting year-round interest, culminating in spectacular autumn displays, ensure both garden visitors and garden wildlife reap the rewards. A place of rest and relaxation. Look beyond the garden’s obvious beauty and you’ll discover more about how our plants are used and maintained to create maximum effect throughout the year. With thousands of grasses and flowering perennials filling the borders the garden acts as a living exhibit for our award-winning nursery, and showcases the ‘right plant right place’ principle to glorious effect. Shady and sunny meadows, damp and gravel gardens – all provide transferable practical planting ideas. Looking forward. 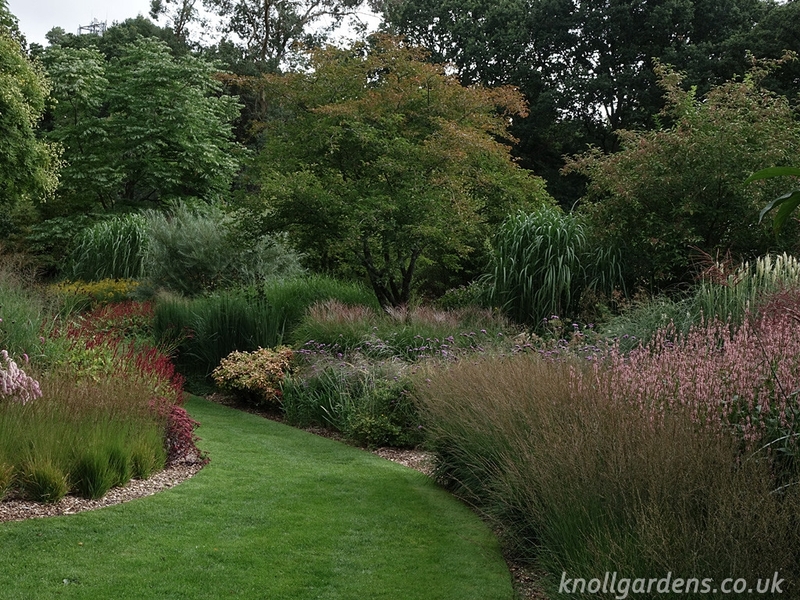 In the last 25 years Neil has proved that grasses can be planted to beautiful effect and demonstrated a new route to an affordable, low maintenance, wildlife-friendly and truly sustainable garden. His new challenge is to develop a planting structure that will provide ‘a flower for every day of the year’ and a further valuable resource for our wildlife. This target, together with a two year project to create a new, celebratory meadow will provide a permanent reminder of his quarter century at Knoll. The new meadow will further demonstrate Neil’s informal approach to practical design and planting, taking his style, and the garden, into the future. Over 70 events take place in the garden this year. Alongside wildlife walks you’ll find a full programme of art and craft workshops, lifestyle courses and a new series of horticultural events and Masterclasses all led by Neil. His 25th anniversary celebrations will conclude with our first Festival of Grasses celebrating the garden’s stunning autumn colour. We are open for garden visitors from Tuesday – Saturday. Group visits are also welcome. 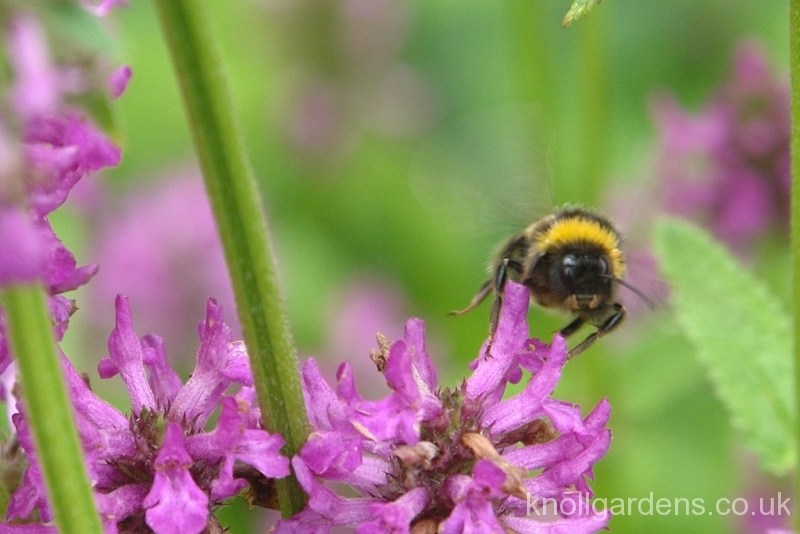 Our charity, the Knoll Gardens Foundation was founded to research and promote the benefits Knoll’s gardening style can bring to both professional and domestic gardeners and our wildlife. With a growing team of volunteers, and in partnership with many wildlife organisations, we are learning about the relationships between our planting style and its many benefits. Based in the garden, we run a full event programme including bat, bee and butterfly walks, as well as conducting formal garden surveys and running educational events. We have recently been granted planning permission for a Learning Centre within the garden. This exciting development will significantly enhance our ability to promote environmentally responsible gardening and its potential to contribute to biodiversity. Find out more about our charity’s work, events and volunteering opportunities. Knoll Gardens first opened to the public in the 1970s. John and Enid May planted on a carrot field and semi-wooded overgrown area of scrub alongside an existing market garden and nursery called The Knoll. As their collection of plants increased the garden became known as Wimborne Botanic Garden. John May was a successful plant breeder. He raised many hybrid Rhododendrons and produced the first hybrid Phygelius (cape fuchsia), named Phygelius African Queen. He also had an abiding interest in aircraft that led to the garden featuring a ‘Meteor Walk’, complete with a full-sized Meteor aeroplane! In 1988 the garden was sold and appeared on BBC TV’s Gardeners World for the first time. New owners Kevin and Sally Martin changed the name to Knoll Gardens, mirroring the name of the original nursery and built the water and formal gardens. Early in 1994 Knoll Gardens came into the care of Neil Lucas and John and Janet Flude. They brought with them many interesting and unusual plants from their own collections including ceanothus, itea, and the wonderful Viburnum cylindrum planted in the Decennium border. 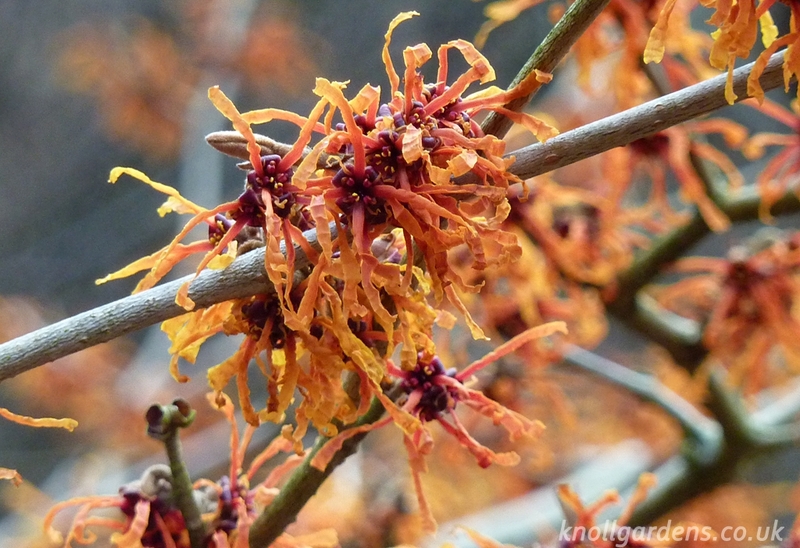 Already a huge admirer of woody shrubs, Neil Lucas began developing his now acclaimed naturalistic style, using the garden’s existing backdrop of rare and usual trees and shrubs as a foil for his developing style of planting. In 2008 he started a charity, the Knoll Gardens Foundation. The charity researches the effects of Neil’s gardening style, and its relationship with wildlife, and promotes its findings to help others create wildlife friendly gardens. Now acknowledged as the UK’s leading authority on ornamental grasses, Neil concentrates on the garden and the advancement of horticultural practices whilst Nursery Manager, Ross Humphrey is responsible for growing Knoll’s increasing range of grasses and flowering perennials. 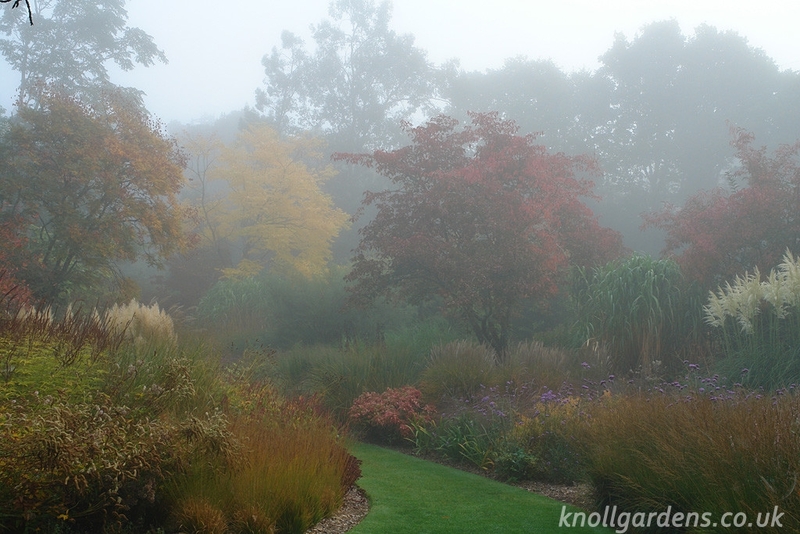 Many of these can be seen to full effect in Knoll’s naturalistic garden setting. Both the garden and plants from the nursery now feature regularly in the national press. The garden is also a frequent setting for film crews shooting for programmes both in the UK and overseas.